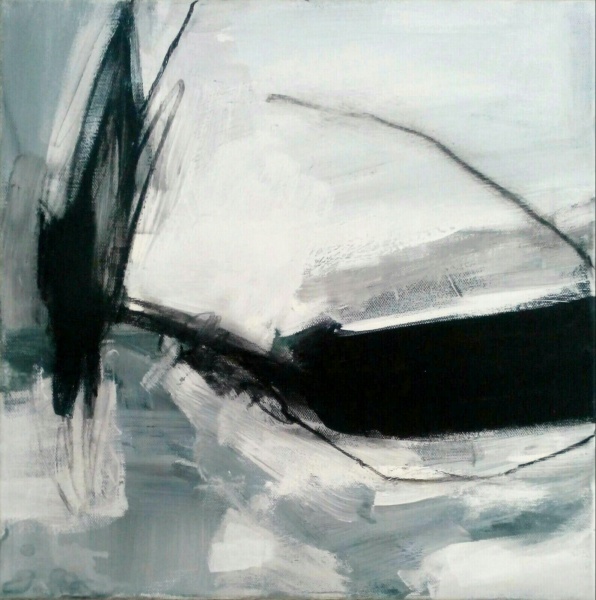 Original painting in emulsion, acrylic and charcoal on canvas. 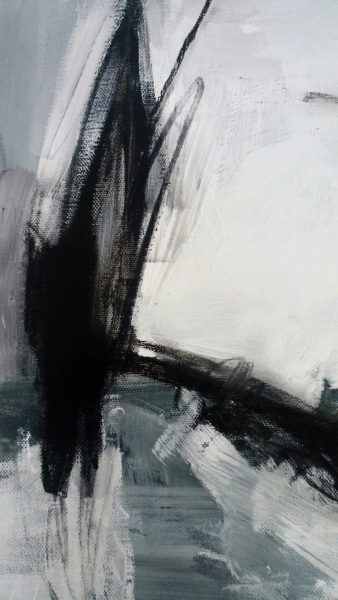 "Monochromatic abstract study of composition and mark making. 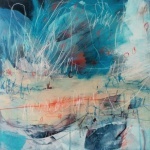 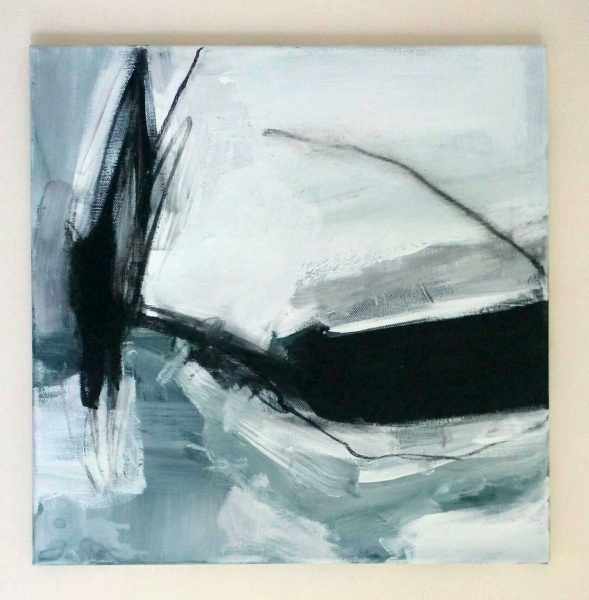 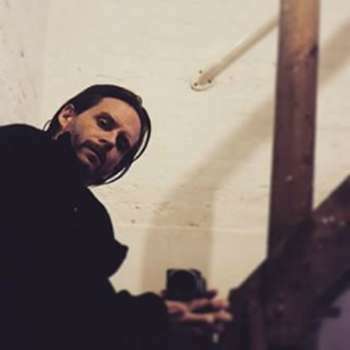 Influences include De Kooning and Peter Lanyon."